Listed below are some hints and tips on how to cycle safer. The information is based on ‘Safety on the highway for drivers and cyclist’ by Howard Peel on the web site: thebikezone.org.uk Another good reference is the book ‘Cyclecraft’ by John Franklin. High visibility clothing makes the cyclist more visible especially during dark mornings and evenings. Fit and use front and rear lights. A common fault of cyclists is not putting lights on early enough when it starts to get dark, because cyclists can still see clearly it does not mean a car driver can still see a cyclist clearly. A good idea is to have a set of LED flashing lights front and rear, which have a very long battery life, and use these when it starts to get dark and have a second bright front light to use when it is dark to light the road ahead. Ride about half a metre from the kerb to maximise visibility. Cycling in the gutter encourages cars to squeeze past and causes unpredictable cycling as the cyclist will need to keep swerving to avoid drains and road debris. When approaching roundabouts and junctions move into the centre of the lane to avoid cars squeezing past and creating a hazard. Give clear hand signals, check traffic coming from behind and move in the road confidently, whilst being ready to take avoiding action if a driver fails to pay attention to you. Note the following scenarios and try to anticipate drivers next move when faced with one. 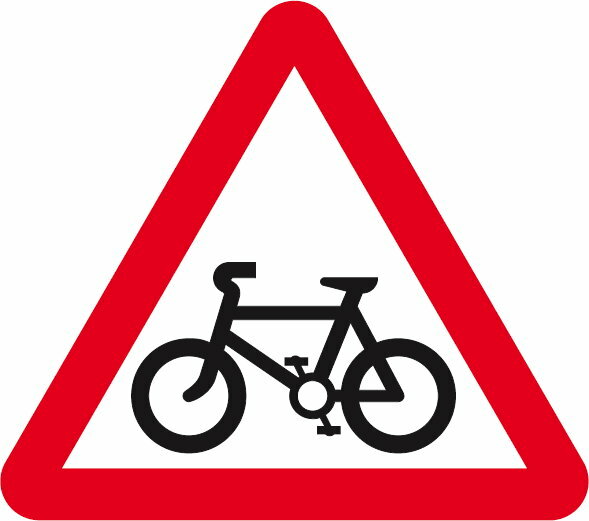 The driver of a motor vehicle pulling out of a junction or onto a roundabout into the path of a cyclist. This is often due to the driver failing to take due note of the speed of the approaching cyclist. The driver of a motor vehicle overtaking a cyclist immediately before executing a left turn. A driver opening a car door into the path of a cyclist. (This is an offence even if the cyclist does not strike the door). The majority of crashes occurring on country roads, are due to drivers going into corners at a speed above that at which they can stop well within the distance they can see to be clear. Drivers forcing their way past cyclist at road narrowings. DfT research shows over 70% of drivers will overtake a cyclist just before or at a gap as narrow as 3.1m. Overtaking a cyclist too closely. ‘The Highway Code’ recommends that a driver only overtakes when it is safe to do so, indicating and moving across the centre line when they do overtake. Where the cyclist is at fault the most common error is failing to pay due regard to the dangers posed by HGV’s (especially articulated vehicles), especially when these are waiting at traffic lights or preparing to execute left turns. When using off road routes it is a good idea to have a bell on the bike and a hi viz jacket as cyclists will encounter dog walkers and maybe horses. Most dog walkers will get their dogs under control so that cycles can pass freely if they see a cyclist approaching. If approaching a dog walker or pedestrian from the rear use the cycle bell in plenty of time to allow them to move. Beware of walkers / runners using MP3 players / iPODs as they wont hear the bell. If approaching a horse from the rear use the cycle bell at a reasonable distance away so as not to surprise the horse. This is a matter of personal preference. The jury is out whether they make any difference or not. Please read the articles on whycycle.co.uk for more information. Ensure that if a helmet is used it is properly fitted.